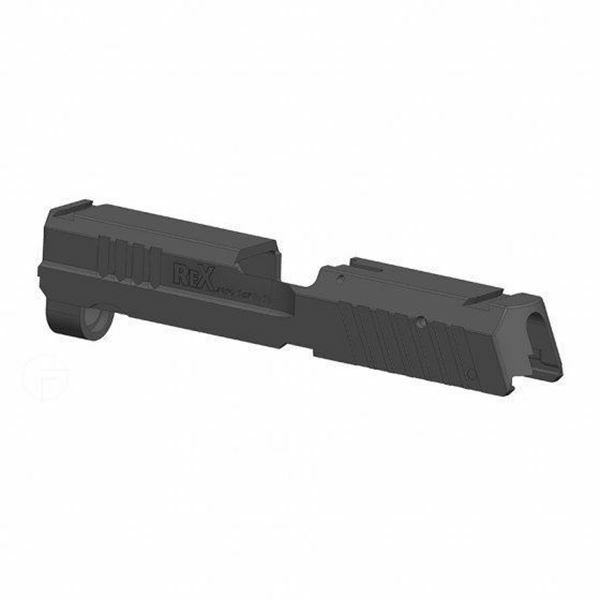 SLIDE FOR CP - Slide for the 9mm Compact series of Rex Zero 1 pistols with the 3.85" barrel. Comes with SN - no custom requests as they are pre-printed for import. Slide will work on any Rex Zero 1 series pistol frame.